Kit graduated with a BVSc from the University of Queensland (UQ) in 1981 and then spent 2 years working in rural practice in southern Queensland. After working for 6 years with the Queensland Department of Primary Industries (DPI) in Atherton, far north Queensland, Kit completed an MSc on Porcine Parvovirus at James Cook University, Townsville. He was then transferred to Toowoomba with the DPI and had state-wide responsibility for pig health. In 1998, Kit established his own veterinary business based in Toowoomba providing a service to the pig industry and smaller beef cattle feedlots. He sold the business in 2010. Since 2008, Kit has been employed as a Lecturer, Intensive Livestock Practice at the School of Veterinary Science, UQ. His teaching role includes pig husbandry, handling, reproduction, production and welfare, medicine and herd health. 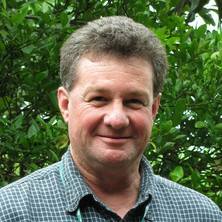 Kit is a member of the Australian Pig Veterinarians and is a founding member of the Queensland Pig Consultancy Group. He has carried out veterinary work with pigs in Australia, Thailand, Vietnam and the Philippines. He is currently researching; 1) porcine respiratory disease in the Philippines and Australia and 2) recording of traits for selection of pigs with improved disease resilience in Australia. Australian Government AusAID Award; Collaboration for agriculture and rural development (CARD) program Central Vietnam, Project – Sustainable smallholder pig production. I attended the award presentation at Nha Trang, Central Vietnam on the 20th November 2010 on behalf of the SVS, UQ.